Patti and I acquired the 15 acres, home and lake that would eventually become Harmony Hill Farm in 1990. Shortly before then, we would be kicked out of East Fork State Park on a snow covered Saturday in January one last time for allowing our golden retrievers to run off leash. It was that day that we swore to find property that we could allow our dogs to run free. So, we thank Amber, CJ and Poco for where we are today. 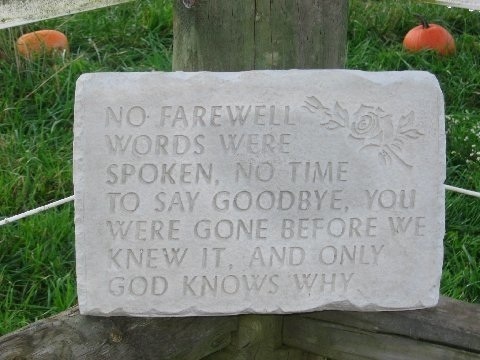 We miss you guys every day, but we'll see you soon. 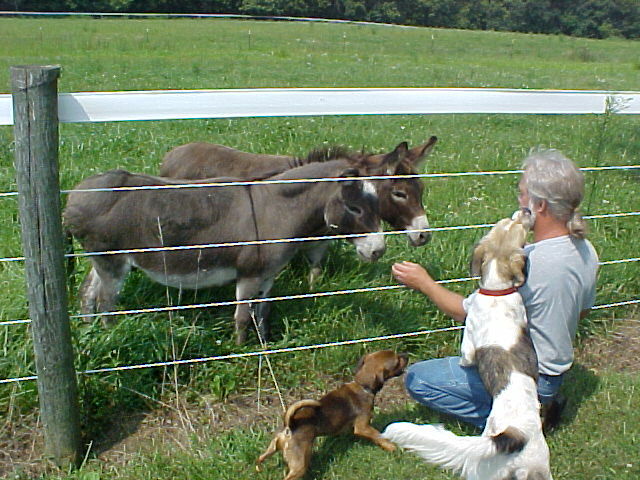 We named our farm in 1993 after witnessing the dogs, cats, ducks, geese and assorted wildlife existing in perfect HARMONY. Soon the hill behind the house became home to our horses and mini donkeys, growing our own hay and organically grown medicinal herbs. 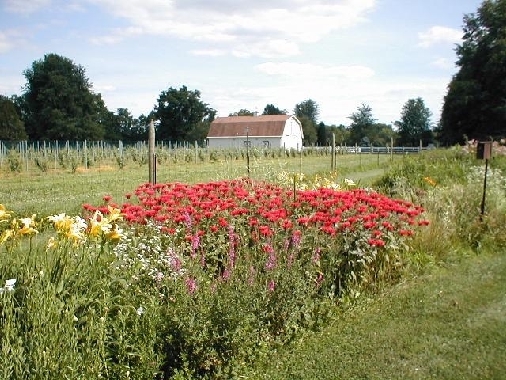 Harmony Hill Herbals allowed us to keep the farm in agriculture while purchasing additional surrounding property as it became available. By 1995, Harmony Hill had grown to its current 70 acres. 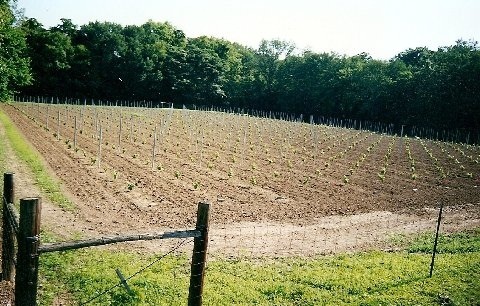 In 2001, we decided to diversify by planting a small block of grapes in the north end of our horse pasture. The intention was to sell those wine grapes to local wineries. Well, one thing led to another, and after some very helpful guidance from a friend and respected Oregon winegrower by the name of Ron Barrett, Harmony Hill Vineyards & Estate Winery was born. The horses and donkeys were moved to another barn and better pasture, and our vineyard grew to the almost 3000 vines that it is today. We hope that by keeping our vineyard balanced and healthy it will allow us to produce a flavorful and balanced wine. At Harmony Hill, we have either instituted these practices in the vineyard or are working toward them, by minimizing chemical sprays, using only natural fertilizers to enhance soil vigor and by monitoring harmful insect populations, responding only when necessary. We maintain healthy sod cover in the row middles to prevent erosion and maintain a more complex ecosystem. 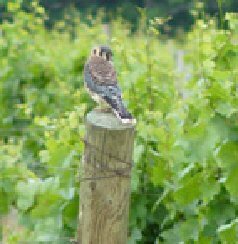 We maintain Kestrel houses at the north end of the vineyard to assist in rodent control. We use expensive and labor intensive netting over the ripening fruit to control bird damage. Our goal is to help our vineyard produce excellent quality wine grapes for decades to come. 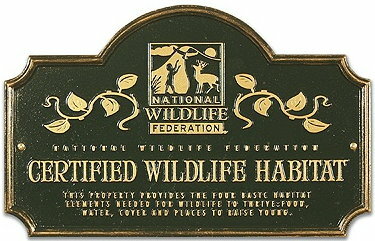 In July of 2006, Harmony Hill Farm became certified as a National Wildlife Federation Remote Wildlife Habitat. 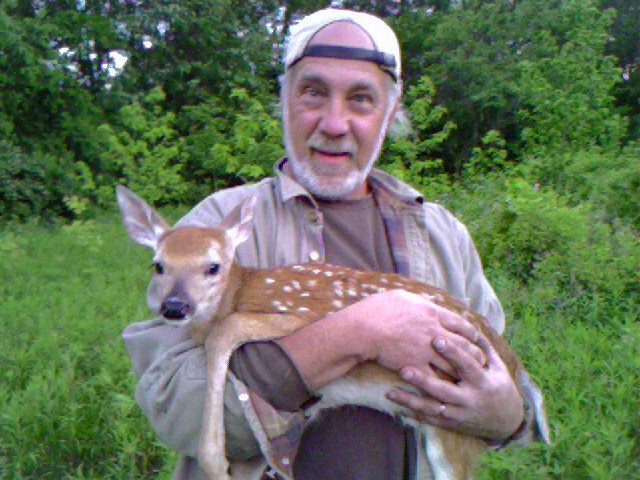 We rescued this fawn from the back of the farm. She eventually hooked back up with Mom. 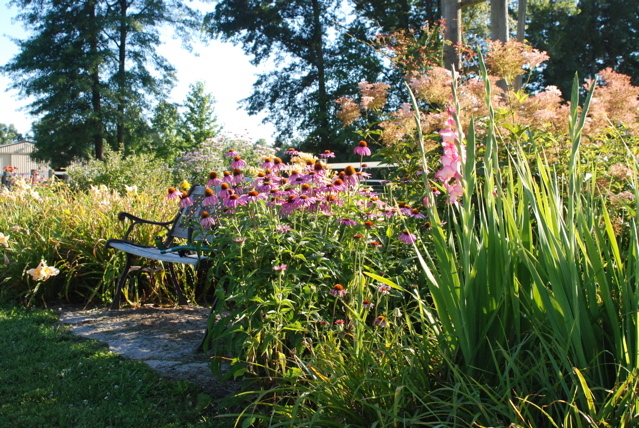 Harmony Hill is featured on the nationally-syndicated PBS TV program, America's Heartland, Series 3, Episode 311. Click here to view "Reborn Vintages."